Work has commenced on Brisbane's newest riverside public space with the arrival of barges and work crews at Queen's Wharf opposite Southbank. 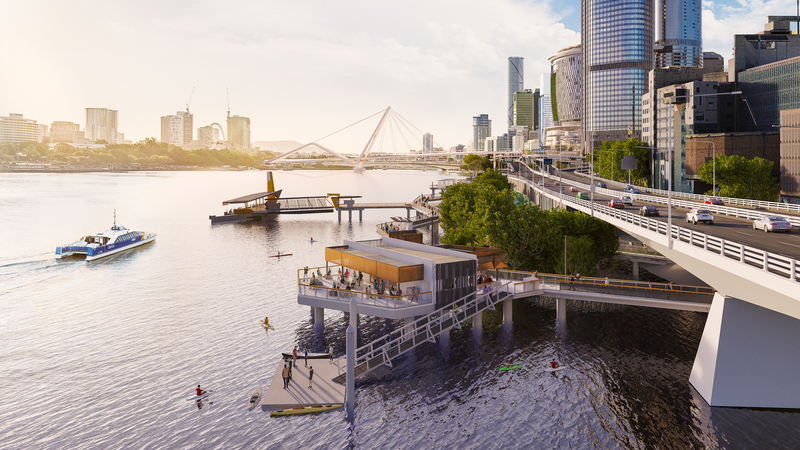 The $3.6 billion redevelopment will now activate space between the Goodwill Bridge and 1 William Street creating an above-water pedestrian walkway and recreational area called Waterline Park. 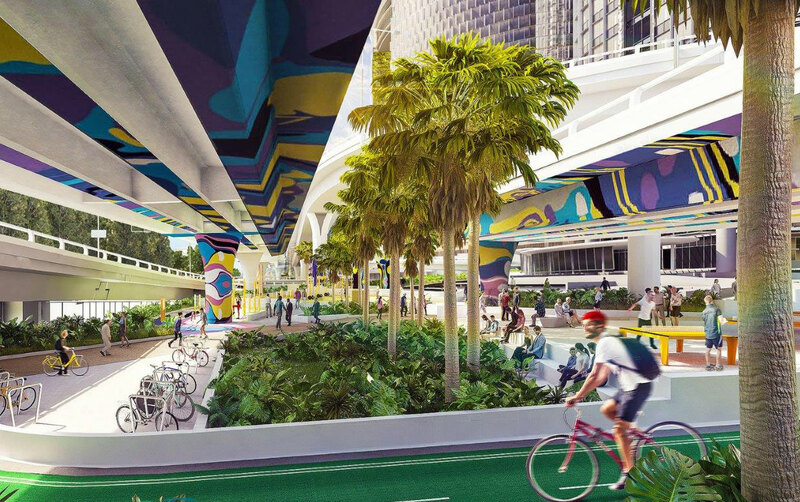 The space which partly lies beneath the Riverside Expressway will now be treated with vibrant murals to transform the roadway columns and help revitalise the thoroughfare.